As you can see, the Glass Dip Pen is actually incredibly easy to use! Just pick it up, have fun practicing and write with amazing style! It’s especially great because it’s so versatile. You can use it to make handwritten guest cards or to write personalized messages to guests with flair. Then, you can set it with your guestbook at your wedding to let guests have a turn! 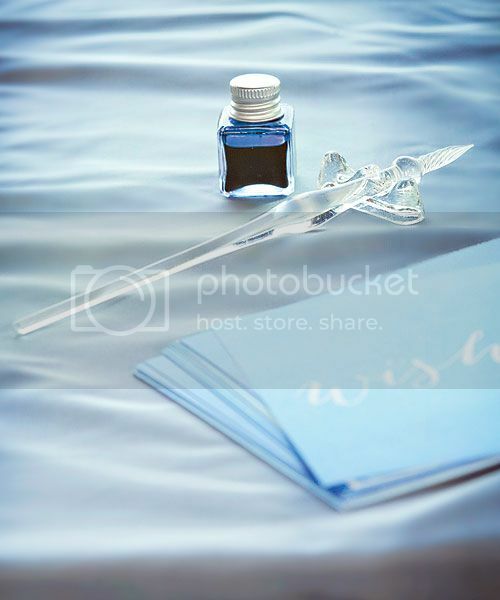 Infuse their writing experience with some good old fashioned charm when they use the Glass Dip Pen to sign their name and offer some good advice for you and your new partner! With such simple elegance, it adds that little something extra to the look of your guest book table. Plus, because it is available in black or clear, it’s easy to match any wedding theme or color palette. With so many opportunities to use the pen at your wedding and even afterwards, it’s a perfect fusion of beauty and function that will serve you well even after many years of wedding bliss! Happy writing everyone! See you all Friday with a special guest blog – trust me you won’t want to miss it! Have a wonderful Wednesday! 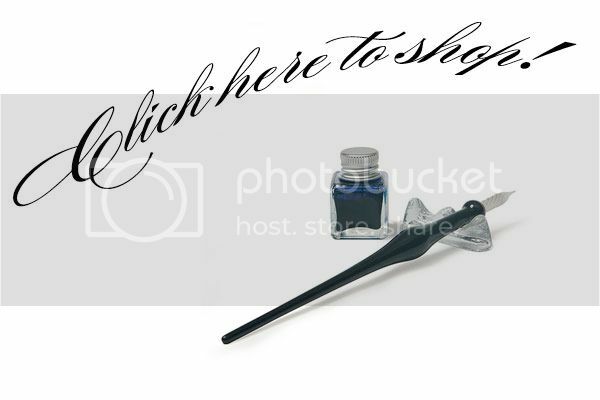 Love the glass dip pen!Cute!